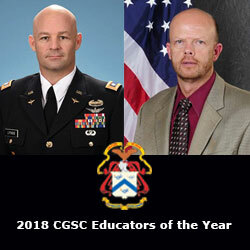 2018 CGSC educators of the year announced | Command and General Staff College Foundation, Inc.
Lt. Col. Trent J. Lythgoe, an instructor in CGSC’s Department of Army Tactics, and Dr. Derek R. Mallett, an assistant professor of military history at Fort Gordon, Georgia, were announced as the 2018 Command and General Staff College Military and Civilian Educators of the Year respectively by Brig. Gen. Troy D. Galloway, interim Army University provost and interim CGSC deputy commandant, Jan. 7, 2019. 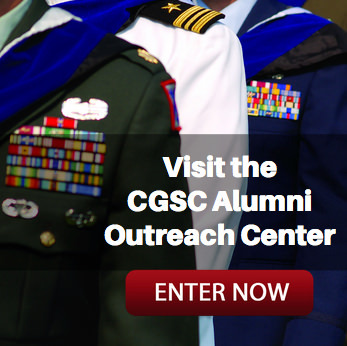 According to Galloway, the winners were selected from seven civilian and five military nominees from departments and schools within CGSC, evaluated on their service to CGSC, classroom instruction, and an interview with a five-member selection board. “The faculty members who participated in the competition demonstrated dedication to the continued professional development of our students, their departments and schools. 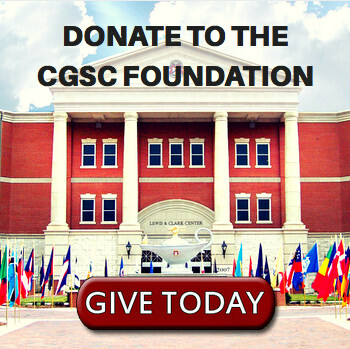 All of CGSC are proud of their accomplishments and express our congratulations to them,” Galloway wrote in his announcement. Lythgoe, the Military Educator of the Year, said being selected was very humbling because there are so many great teachers at the CGSC. He feels fortunate to be recognized. “Although this is an individual award, I think it says more about my teams than myself. First, my teaching team (Team 19) is simply incredible. My teammates have mentored me and provided me opportunities to innovate with the lesson material,” Lythgoe said. “My team leader allowed and encouraged me to seek professional development outside teaching, namely writing for publication and pursuing a PhD. Second, my department team (DTAC) nominated me to represent them, and for that I am humbled and thankful. According to Lythgoe, the students inspire and push him to be the best instructor he can be. Lythgoe refers to his teaching style as student-centered teaching, which means doing whatever it takes to help his students learn. He focuses on three areas: preparation, climate, and method. He prepares by taking each lesson plan and using it to create a student-centered teaching plan and often adds case studies and historical examples to bridge the gap between theory and practice. Next, he creates a classroom climate which enables learning and requires students to share their points of view, including divergent or unpopular opinions. Finally, he helps them build intellectual courage by insisting they challenge the material and the instructor. “Most importantly, my wife Wendy is a huge inspiration. She’s a full-time cardiac nurse, a straight-A graduate student, and an overall awesome person,” Lythgoe said. “She’s the sounding board for many of my ideas about teaching and writing. She’s helped me kill the bad ones and implement the good ones. 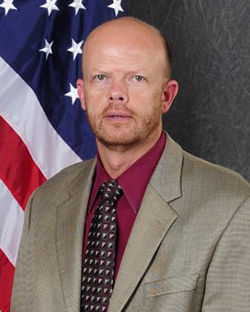 Mallett, the Civilian Educator of the year, considers his selection a tremendous honor. According to Mallett, there is nothing better than “watching the light come on” in your students’ faces. According to Mallett, he listens to and learns from everyone. He said he has been fortunate to have had a number of wonderful mentors, some of whom he quotes repeatedly and is inspired to serve his students in ways that honor the investment others have made in him. 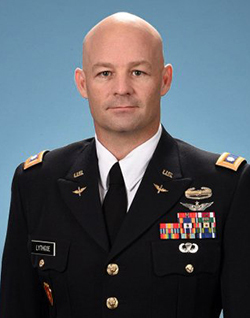 Lythgoe and Mallett will represent CGSC as nominees for Training and Doctrine Command’s Educators of the Year.